A couple of new Apps are popping up that allow users to purchase day passes at local hotel pools. Sweet. Anything that helps us make hotel swimming pools more accessible warms our hearts (and cools our toes). Download Daycationapp to buy day passes for hotel and resort pools, spas, and other hotel amenities. 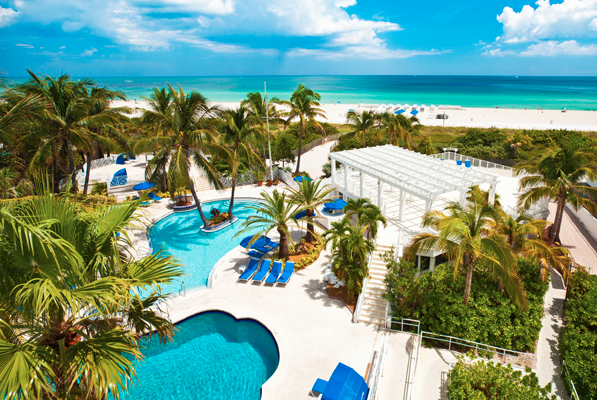 If you’re in Miami Beach, you can use the app to book access to the pool and beach at The Savoy Hotel (below) for a mere $35. It includes access to the pool, gym, and beachfront, with towels and a changing area. Not bad! But right now, the pickings are more of a cool misting than a storm: another Miami Beach property for a bit more cash, plus offerings in Idaho and Rhode Island. We’re watching closely, however because this could turn into something really great when they are up and running a bit longer. Dip offers a similar service via their app, right now only in Los Angeles and New York. 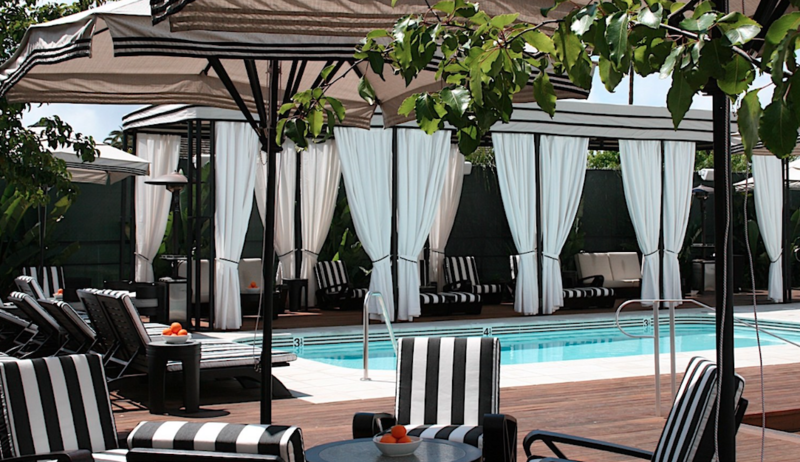 Current offerings include a day pass at Hotel Shangri-La (below) in Santa Monica for $25. There are many upscale properties like The Peninsula Beverly Hills and The Ace Hotel listed, but users are instructed to call the hotel for price/info. Not sure how the App is useful in this scenario (other than linking the phone number) but we’ll be watching this App to see if more direct purchase opportunities open up. Let us know if you have used either App. They both sound very promising to us. One Response to "2 NEW HOTEL POOL DAY USE APPS"
daypassapp.com starting from Europe with Paris fouqets pool for example.